Mériam Korichi is a philosopher and a theatre stage director. She studied philosophy at the Sorbonne, the Ecole Normale Supérieure of Paris and Harvard. She passed the “agréagtion de philosophie” and obtained a Ph.D. on Spinoza’s concept of mind. She has several books published by Gallimard, Flammarion and Albin Michel, including The Passions, Letters on Evil, Notions of Aesthetics, Notions of Ethics, Andy Warhol, A Treatise of Good Sentiments. She writes regularly on contemporary artists. 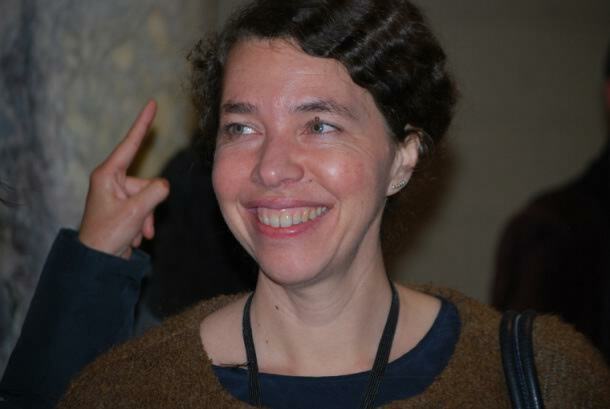 She has worked at the Comédie-Française (Précieuses ridicules, La Grande Magia, The Tragedy of Hamlet), at the Bouffes du Nord (The Comedy of Errors which she translated and published into French and adapted for the stage), at Montpellier Opera (Zaide), at the Opera Comique (Béatrice et Bénédicte, Le Freischütz). In New York, she stages Marivaux’s last play, The Constant Players, with actors and opera singers within the galleries of the Frick Collection. Intending to challenge the frontiers of her areas of work – philosophy, theatre and contemporary art –, in 2010 in Paris, she created a special format of events, A Night of Philosophy, and has staged them since in London, Berlin, New York, Helsinki, UNESCO’s Paris headquarters (www.nightofphilosophy.com).